The finance minister also said that the ‘slave’ mentality of senior leaders in Congress makes them sing the song scripted by the dynast. In modern world dynasties inherently have their limitations. Aspirational societies abhor kingdoms. They insist on accountability and performance. But the grand old party of Indian politics has sadly become a captive of a dynasty. Many of its senior leaders lack the courage and moral authority to advise the dynasts to change course. This trend started in early 1970s; climaxed during the Emergency and has continued ever since. The ‘slave’ mentality of senior leaders convinces them that they must only sing the song scripted by the dynast. A contrarian opinion will cost them their political career. When the dynast speaks lies, they all join the chorus. How many lies are necessary to be peddled to save a sinking dynasty? The contagion effect of falsehood is fairly large. It appears to have spread to other colleagues in the ‘Mahajhootbandhan’. In relation to the Rafale deal where thousands of crores of public money has been saved, a new falsehood is manufactured on a daily basis. The latest is in relation to the present CAG and his participation in the decision making process of Rafale. In 2014-15, the present CAG was Secretary (Economic Affairs) in the Ministry of Finance. Being a seniormost at one point of time, he was also designated as the Finance Secretary. I say this without fear of contradiction that no file or paper relating to the Rafale transaction ever reached him nor was he in any way, directly or indirectly, associated with the decision making on defence purchases. Expenditure to be incurred on purchases by various departments of the Government needs the approval of Secretary (Expenditure). Why then is the lie in relation to the CAG having a non-existent conflict of interest being raised? The dynasty knows that his 500 crore vs 1600 crore kindergarten argument was a fictional story. No one would ever buy it because facts don’t support it. Even before the contents of CAG report are known, a ‘Peshbandi’ attack on the institution of the CAG is launched. The dynast and his friends have in the past even attacked the Supreme Court when it rejected the writ petition on Rafale. The entire pricing argument was factually wrong. The procedure argument that there was no Defence Acquisition Council, no CCS, no Contract Negotiation Committee was a blatant lie. The Rs.30,000 crore favour to a private company is non-existent. The use of sliced document by a newspaper is unprecedented in the history. The use of an incomplete document is certainly not in consonance with the spirit of free speech. The ‘no integrity pact’ argument is belied by the fact that even in earlier purchases through inter-governmental agreement with Russia and the United States, such pacts were not there. Now without a shred of evidence, a fictional conflict of interest of the CAG is invented. This article is taken from Arun Jaitley’s Facebook notes, you can read the original article here. 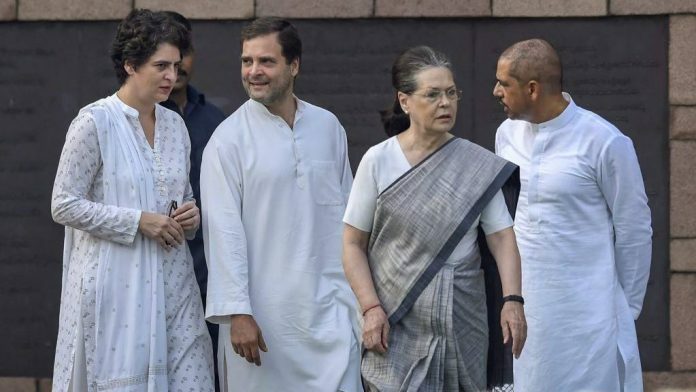 There is news that four members of the Pawar family will be contesting the Lok Sabha election, which is the NCP’s present strength in the House. Dynasty has got embedded in India’s political DNA. Things may change by 2050.